Another huge issue! 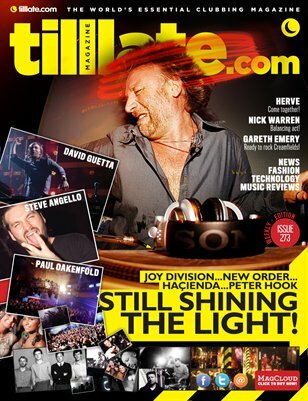 Our cover this week is a tribute to Peter Hook, The Hacienda and their electronic music history. We also catch up with Herve after his recent chart success, Gareth Emery, as he prepares for Creamfields, Nick Warren on his latest compilation and Kristina Sky, the US secret weapon! Our clubbing is huge this week as we dropped in on Paul Oakenfold @ Rain in Vegas, David Guetta in Leeds, Steve Angello in Manchester and Gareth Emery (again) in Birmingham! We also checked out Habit’s 5th Birthday and the recent Electric Frog weekender in Glasgow. Add in the news, fashion, technology and house reviews and your week’s reading is sorted!